Cygolite Dash 450 adds four traditional LEDs but they would be more useful if visible from the side (click to enlarge). 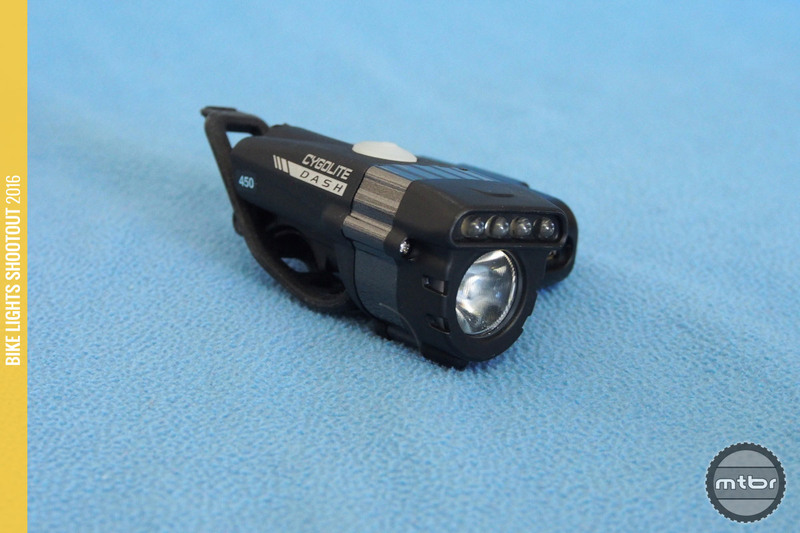 The Cygolite Dash 450 is an interesting concept with a main LED light and 4 helper LEDs to assist or to be used as a ‘to be seen’ mode light. 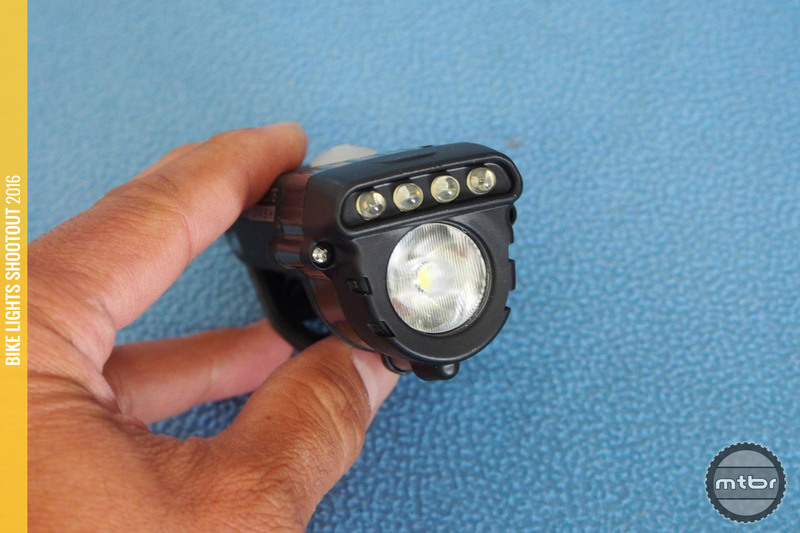 It is a similar concept to the old NiteRider Moab light which used an HID light but incorporated three LED lights to give the light more usability. Construction is good and the beam pattern is good as well with a fairly flat and wide beam. The main LED lens has cutouts to give it some side visibility. The four helper LEDs though don’t do much and end up making the light bigger and having more light modes to scroll through. It’s a pretty good looking package with four LEDs and a main LED. The beam pattern is more rectangular than round and that’s a good thing. The main LED lens also has some side visibility cutouts. Construction is good and we like that the integrated rubber strap has its own space tucked out of the way and doesn’t protrude as much as other mounts. The Cygolite Dash 450 adds four traditional LEDs for auxiliary visibility (click to enlarge). 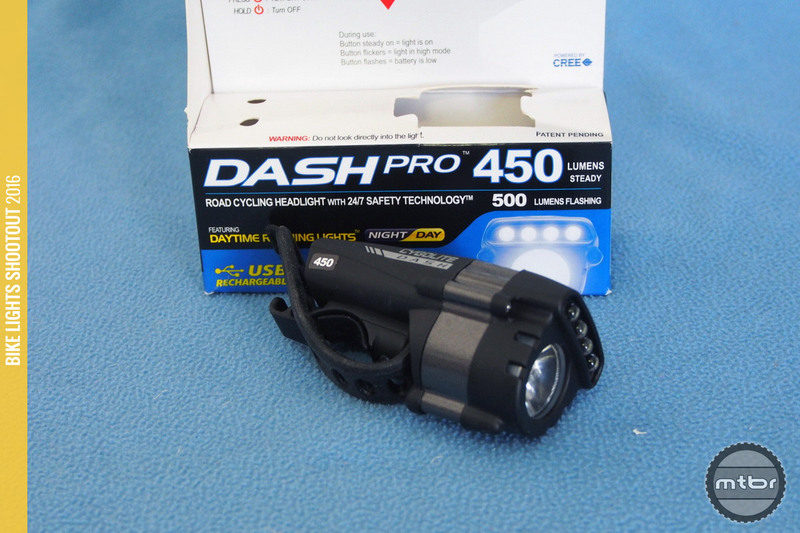 We wished that it matched up to its 450 Lumen claims, as it’s not quite bright enough for good trail riding at a measured 400 Lumens. 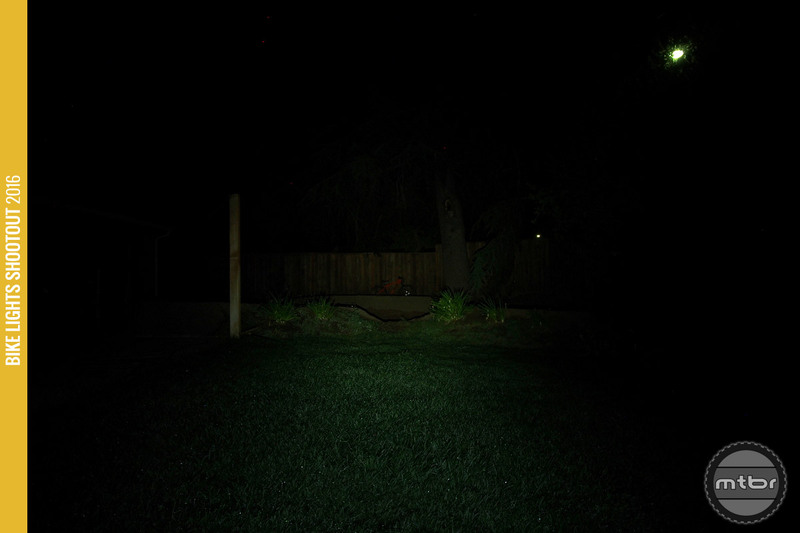 It does seem a little brighter in flash mode, but that’s not really ideal to claim in the Lumen output rating. The four LEDs on top differentiate this product from the competition, but they don’t really add anything to the package since they don’t add any beam pattern or side visibility. As it stands, they just add a blue-ish light that is not very usable and it adds more light modes to scroll through. The light constantly fluctuates between 405 and 395 Lumens. It’s not really visible to the naked eye, but it is a sign of electronics that are not quite as stable as the competition. The Cygolite Dash 450 weighs in at 100 grams (click to enlarge). It is a pretty good effort from Cygolite and it has some unique elements to it. For more information visit www.cygolite.com. The Cygolite Dash 450 incorporates a strap mount. 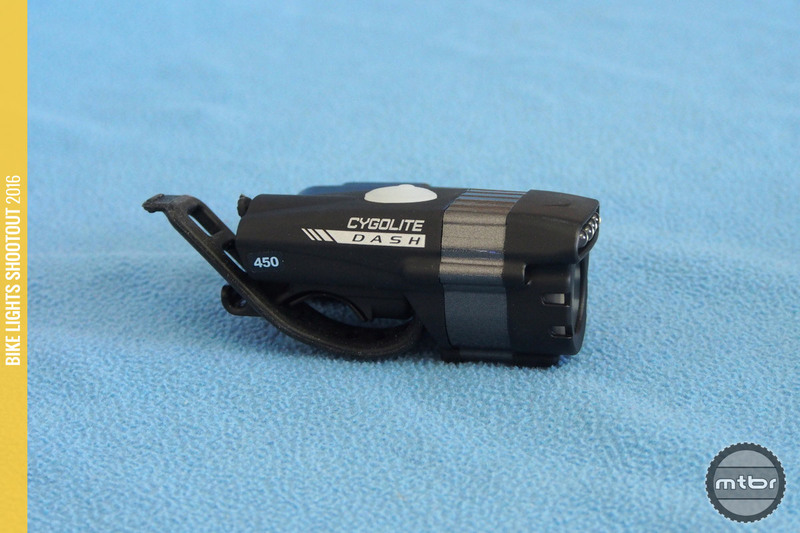 The Cygolite Dash 450 adds four traditional LEDs for auxiliary visibility. Cygolite Dash 450 adds four traditional LEDs but they would be more useful if visible from the side. The Cygolite Dash 450 packaging allows one to test it. 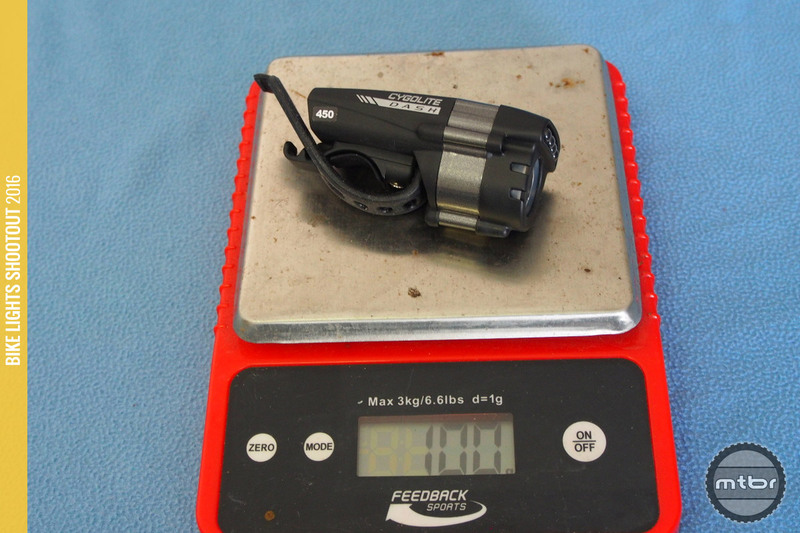 The Cygolite Dash 450 weighs in at 100 grams. 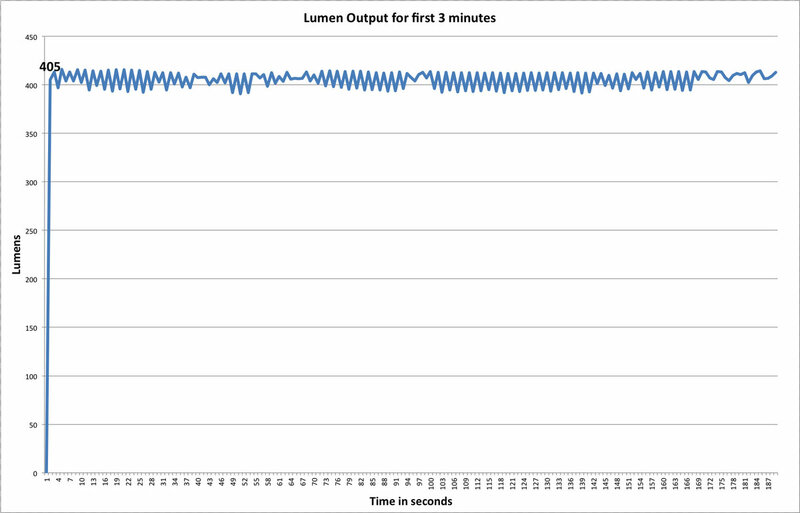 Lumen graph is fairly noisy indicating the lights electronics do not maintain a constant output.